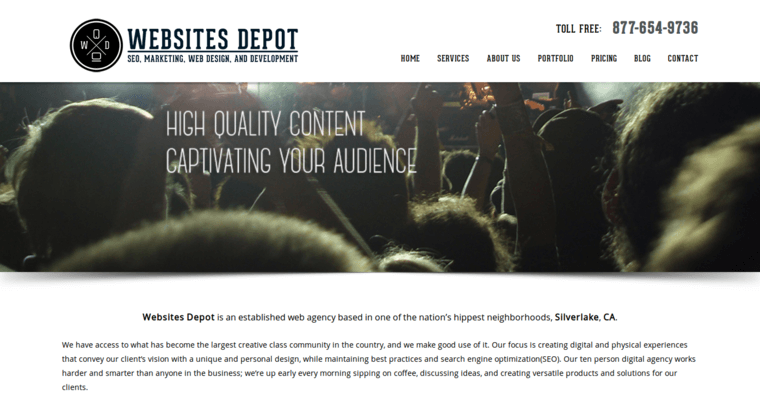 If your business is struggling to get noticed online, you should consider Websites Depot. As a full-service digital marketing agency, the firm can help your business achieve your goals while delivering exceptional ROI. As a matter of fact, you can expect your custom Websites Depot campaign to pay for itself and more. With such astounding results, there's no wonder why this agency has risen to the top of the online marketing industry. The firm's award is for overall performance as well as for its excellence in the field of search engine optimization. The firm builds SEO into every site they develop. However, they also provide SEO services to companies that want to continue using an existing site. 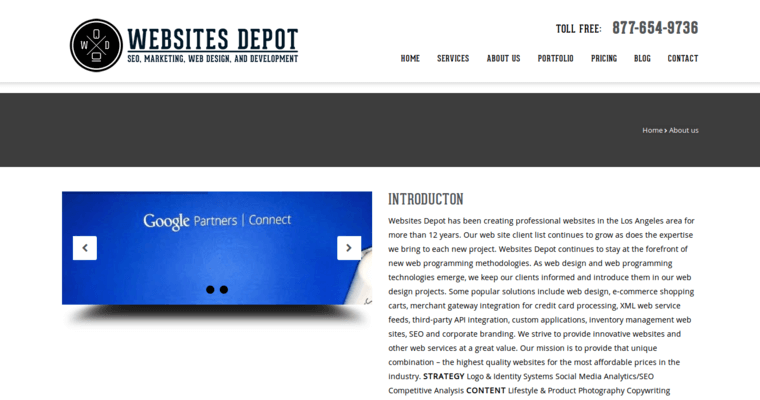 Websites Depot is a certified Google Partner and has the knowledge, skills, and technologies needed to drive your company to the next level. 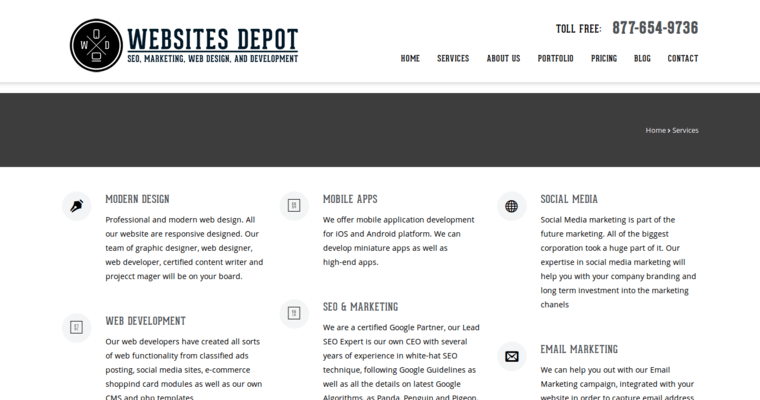 Visit the Websites Depot to schedule a consultation.